Kindergarten is a special time in a child’s life. In many cases, it’s the first school experience for a child. And for all, it’s where kids start on the wonderful path to reading and adventures in math. And any educator will tell you that children need to get their education reinforced at home. One way to do this is by downloading the best iPad apps for Kindergartners. Here are a few that we found. Have other favorites? Let us know via Twitter or Facebook, or leave an old fashioned comment below. More than 100 animated characters make this game fun for young kids. 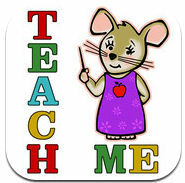 Your child will learn upper and lower case letters, sound and phonics by taping on images to start the animations. The app is great for teaching kids the name of the letter and the sound it makes. Parents will love that Interactive ABC is “aligned to Kindergarten Ready Foundation Skills of Common Core Standards”. Kids will love the original music and fantastic graphics. Multiple users are supported for multiple kids and as a parent you can log on to check your child’s progress. $1.99. For ages 2-5. Download it here. 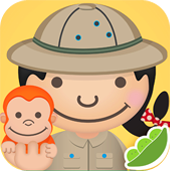 ABC ZooBorns is an animal exploration app that is loads of fun for your child while it’s teaching them their ABC’s. Baby giraffes, penguin chicks, and tiger cubs are among the over 50 animals featured. The photos and videos are all from online sources, such as Flickr and You Tube. Keep in mind that in order to watch the videos, you will need an internet connection. There are over 50 touch activities with over 100 videos of different animals that your child can see and hear. $2.99. Download it here. For kids in Kindergarten and above, Bugs & Bubbles is a great game that consists of 18 different mini games. Each game centers around bug and bubbles and they “trick” your child into practicing their colors, numbers, dexterity, memory, shapes, alphabet, and more. The three main menu pages of the app also contains many things to tap, poke and explore. The great graphics are accompanied by over 50 minutes of songs. The great thing about this app is that children only get positive reinforcement to do well. When they get something wrong, they get a little “oops”. Correct moves will give your child a star and sticker for a virtual sticker book. 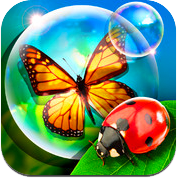 Don’t forget to check out our full app review of Bugs & Bubbles with a list of games. $2.99. Download it here. 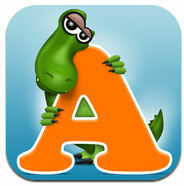 Teach your children sight words, addition, subtraction and spelling with this app (choose first letter of word). Parents have the ability to select the subjects, the difficulty level, and even the specific questions. They can also review the progress for up to four children. Mimi Mouse is the app’s animated character who teaches your child. She also gives instructions and feedback, which makes it simple for your little one to play with the app without your help. They earn a coin for every three correct answers. There is also a sticker book, which can be printed, emailed or used as wallpaper. $1.99. Download it here. Kids will have a great time playing the seven different types of games that make up this app. They’ll also love gathering stickers that they will earn for the sticker board. And while they’re having fun, they will also learn colors, letters, counting, shapes, sizes, matching, and differences. The app’s cute monkey helps cheer on the player. The best feature of this app is that there are no menus and no navigation, the app jumps right into play and each game flows into the next. Your child can play as long as you allow. $0.99. Download it here.